RECRUITMENT DRIVE 2019 RECRUITMENT OF PRINCIPAL, POST GRADUATE TEACHERS IN JAWAHAR NAVODAYA VIDYALAYAS AND ASSISTANT COMMISSIONER (ADMINISTRATION), ASSISTANT & COMPUTER OPERATOR IN NVS HQ/REGIONAL OFFICE....(From The Official Notification). Navodaya Vidyalaya Samiti, Uttar Pradesh, Has Recently Published The Recruitment Advertisement For The Above Mentioned Posts, So Interested Candidates Can Apply For This Job From 15Th Of January, To 14Th Of February, 2019. Kindly Check Out The Other Information Related To This From Their Official Notification, It's Given Below. 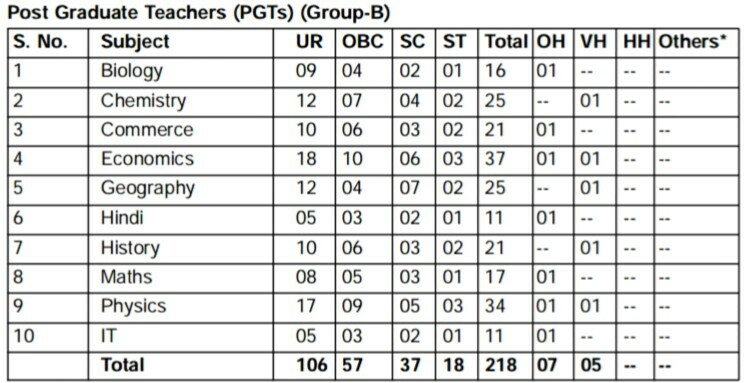 Post Graduate Teachers (PGTs) (Group-B) →218 Vacancies. 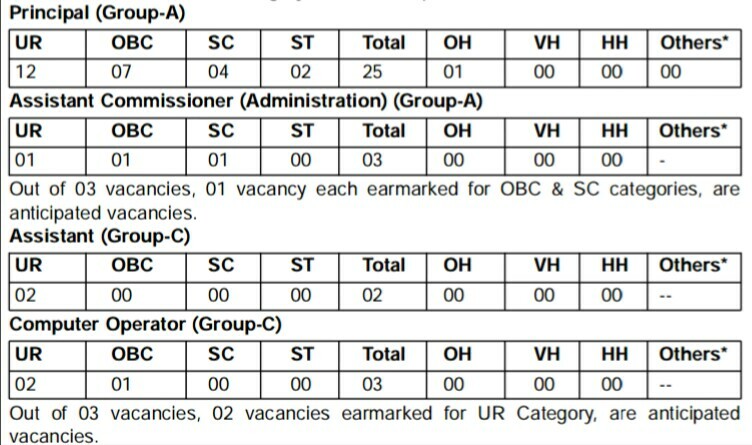 Assistant Commissioner (Administration) (Group-A) →03 Vacancies. Total Number Of Vacancies →251 Vacancies (Kindly Check Out The Images Below For More Details On The Vacancies & Posts. B. Eligible Criteria For Navodaya Vidyalaya Recruitment 2019. Age Limit →18 Years To 50 Years, Kindly Check Notification For More. Educational Qualifications →Do Once Check Out The Official Notification For Your Post. Online Application/Examination Fee→₹1,500 For Number 2 & 3 Posts, ₹1,000 For Number 1 & ₹800 For Other Remaining Posts, Which Is Given Above. Last Date For Online Application Form →14Th Of February, 2019. Admit Card Download →Check Out The Official Website Regularly For This Information. Examination Date →March, 2019, (Tentative Date). Result →Check Out The Official Website After The Examination, Link Is Here>The Official Website Of Navodaya Vidyalaya Samiti.